"Absence makes the heart grow fonder," someone once said. 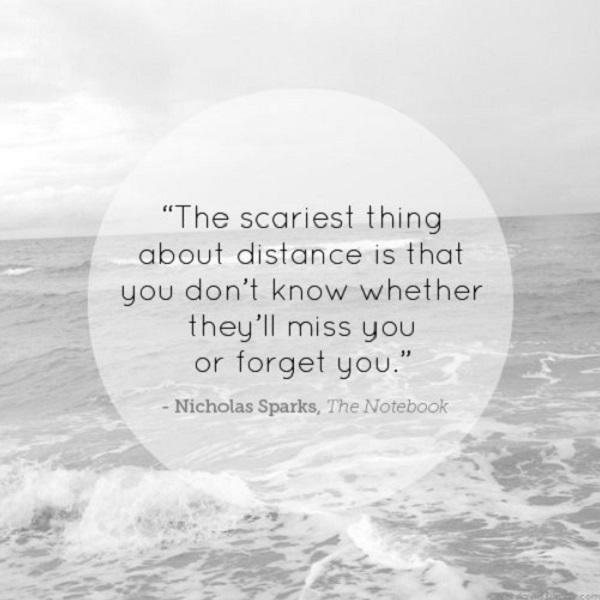 And, ever since, it's become a mantra for lovers in long distance relationships. It's important to hold onto love quotes and sayings like that when you’re in a long distance romance, because, at some point, both participants will find themselves struggling to justify why it’s all worth it. They will find themselves standing in front of a mirror, trying to talk themselves into being fine with being in love with someone who is so very far away that they have to spend so much time missing each other. LDRs can be hard relationships for anyone to pull off. The gap between physical separation and emotional connection is one that many couples struggle to bridge. But when all that separation and longing is for the sake of true love — it’s worth it. When your connection with another person is that powerful, then you absolutely have to forget about conventional logic and go for it. 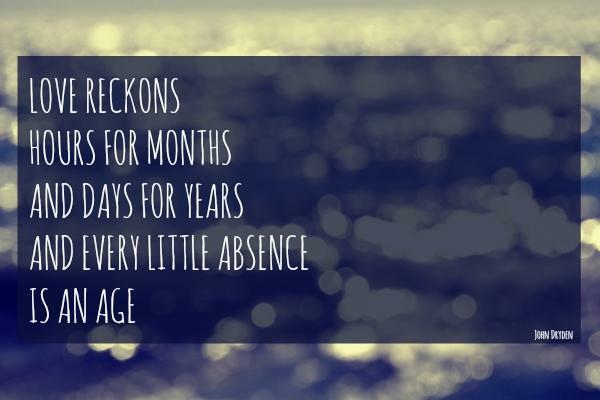 Of course, it always helps to hear from others who’ve gone through that you’re going through now, and these 26 heartfelt and inspiring love quotes about what it's like to be in long distance relationships encapsulate the full range of emotions absence can create in a romance. 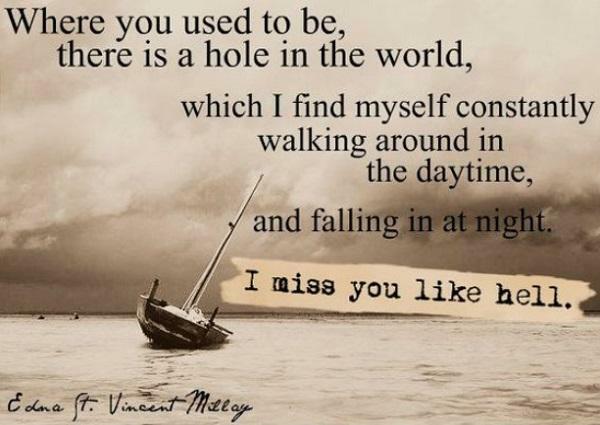 If these love quotes resonate with you about your own relationship, know that your love can span continents and beyond, and that, when it comes to missing the person you love more than anything or anyone else, you are definitely not alone. Here are 26 of the best, most inspiring love quotes that perfectly illustrate the fact that when it's true love, distance means nothing. ​1. 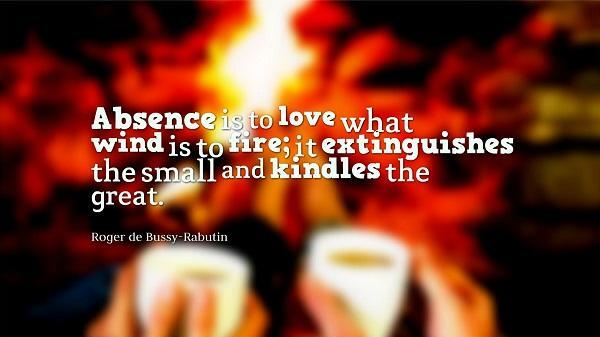 "Absence is to love as wind is to fire; it extinguishes the small and kindles the great." 2. 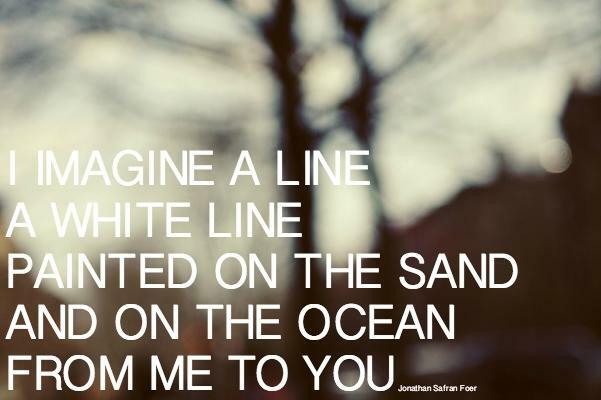 "I imagine a line, a white line, painted on the sand and on the ocean, from me to you." 4. 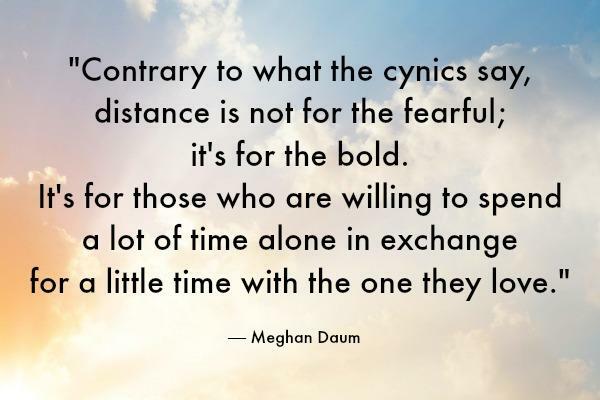 "Contrary to what the cynics say, distance is not for the fearful; it's for the bold. It's for those who are willing to spend a lot of time alone in exchange for a little time with the one they love." 5. 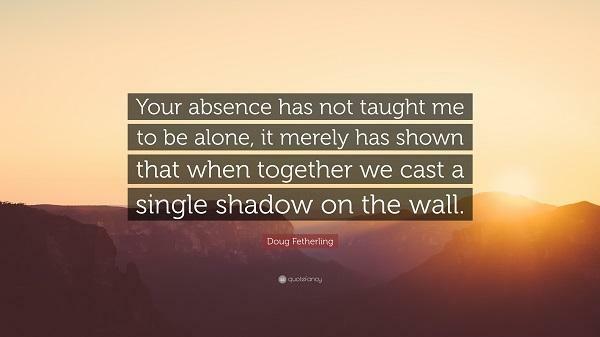 "Your absence has not taught me how to be alone; it has merely shown me that when together we cast a single shadow on the wall." 6. 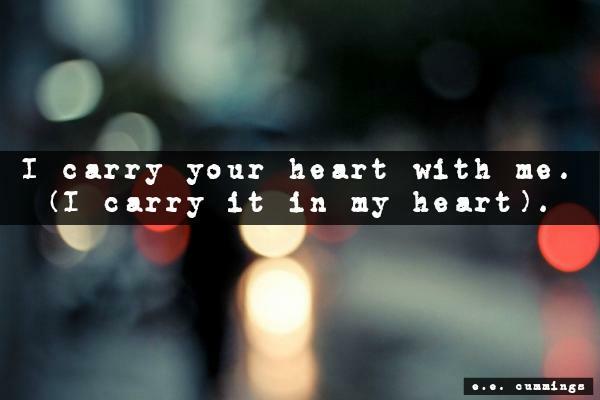 "I carry your heart with me (I carry it in my heart)." 7. 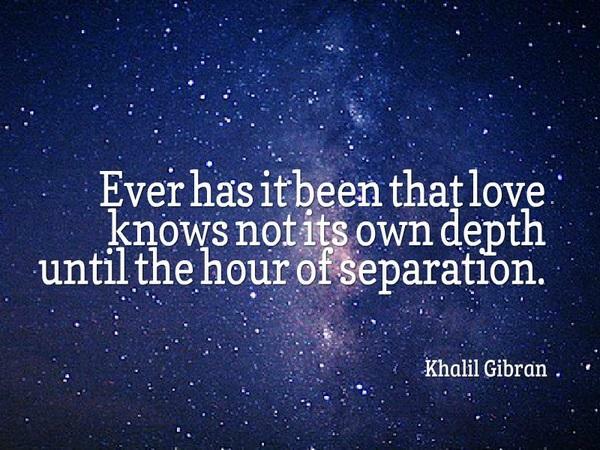 "And ever has it been known that love knows not its own depth until the hour of separation." 8. "Where you used to be, there is a hole in the world, which I find myself constantly walking around in the daytime, and falling in at night. I miss you like hell." ​9. 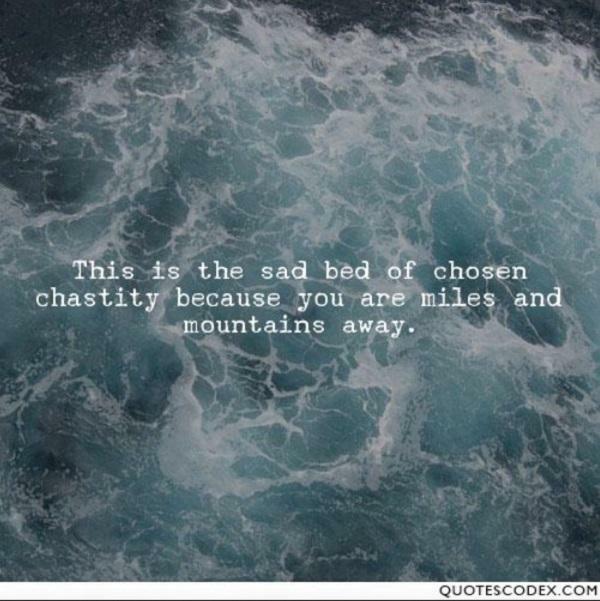 "This is the sad bed of chosen chastity because you are miles and mountains away." ​​10. 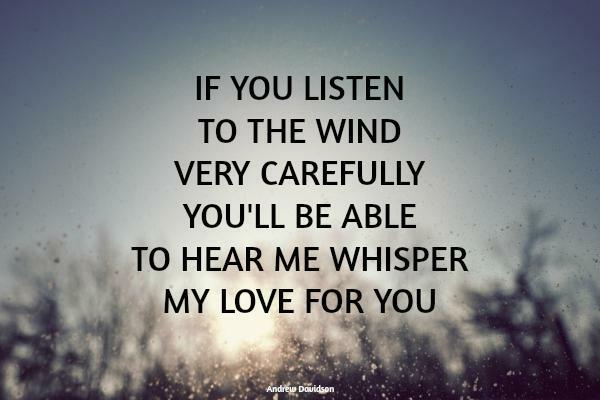 "If you listen to the wind very carefully, you'll be able to hear me whisper my love for you." 11. 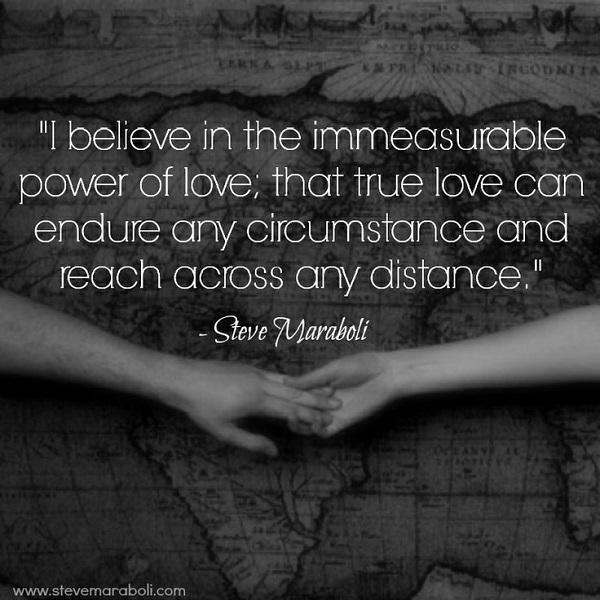 "I believe in the immeasurable power of love; that true love can endure any circumstance and reach across any distance." 12. "Our hours in love have wings; in absence, crutches." ​13. "Love reckons hours for months, and days for years; and every little absence is an age." 14. 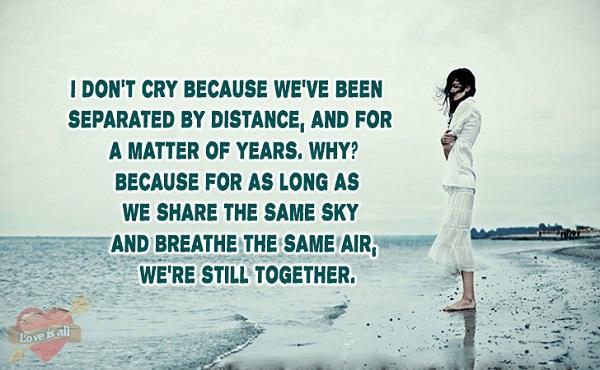 "I don't cry because we've been separated by distance, and for a matter of years. Why? Because for as long as we share the same sky and breathe the same air, we're still together." 15. 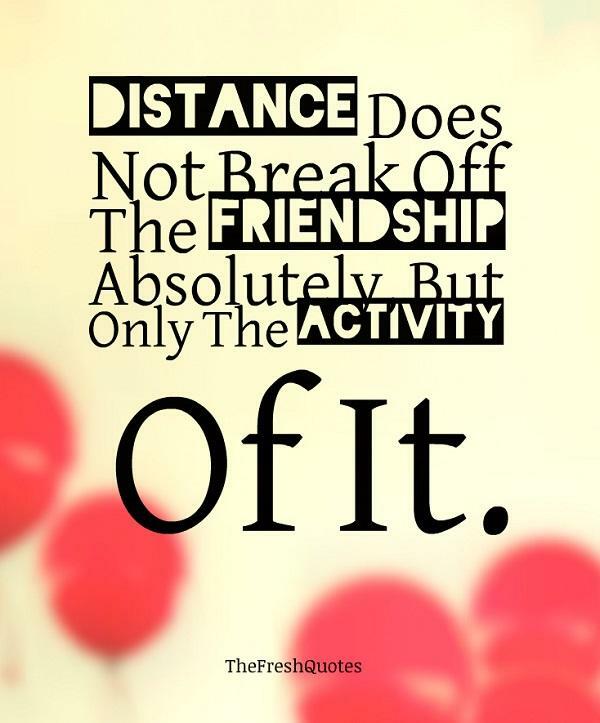 "Distance does not break off the friendship absolutely, but only the activity of it." ​16. 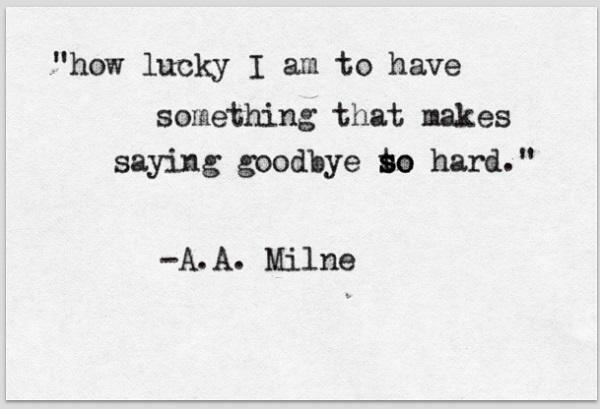 "How lucky am I to have something that makes saying goodbye so hard?" 17. 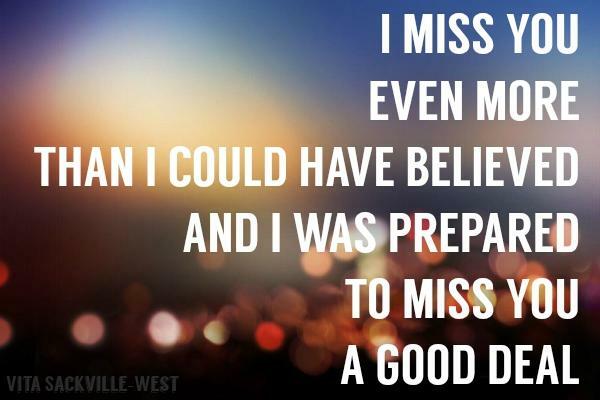 "I miss you even more than I could have believed; and I was prepared to miss you a good deal." 18. "Waiting does not bother me, nor does the distance that is cropping up between us. All I want is a true commitment and to know that your heart will never change." 19. 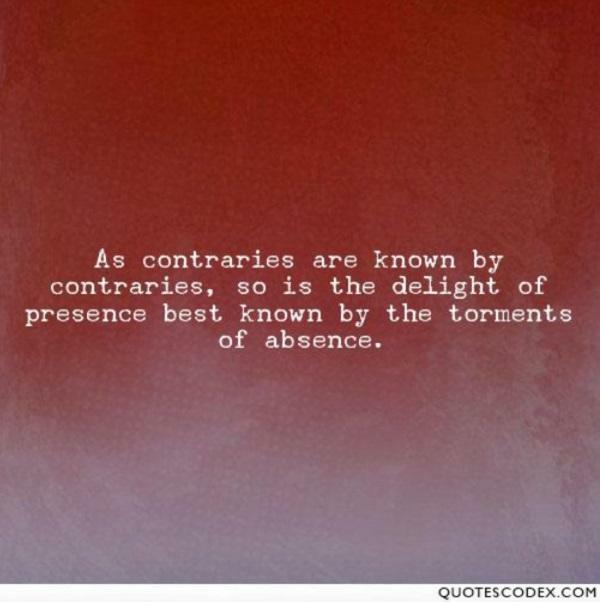 "As contraries are known by contraries, so is the delight of presence best known by the torments of absence." 20. "Love is missing someone when you’re apart, but somehow feeling warm inside because you’re close in the heart." 21. 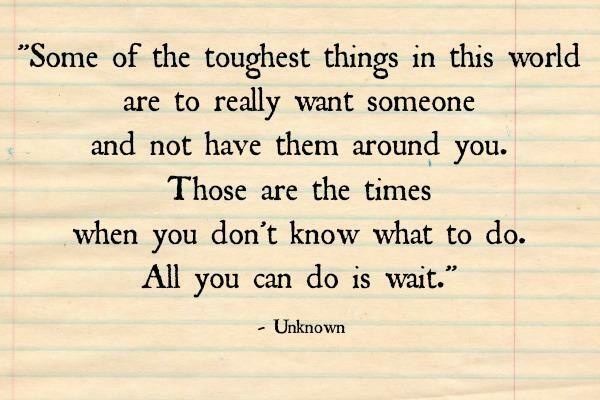 "Some of the toughest things in this world are to really want someone and not have them around you. Those are the times when you don't know what to do. All you can do is wait." 22. 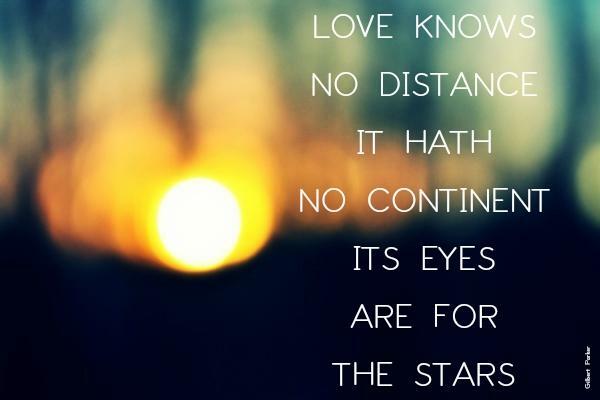 "Love knows no distance; it hath no continent; its eyes are for the stars." 23. 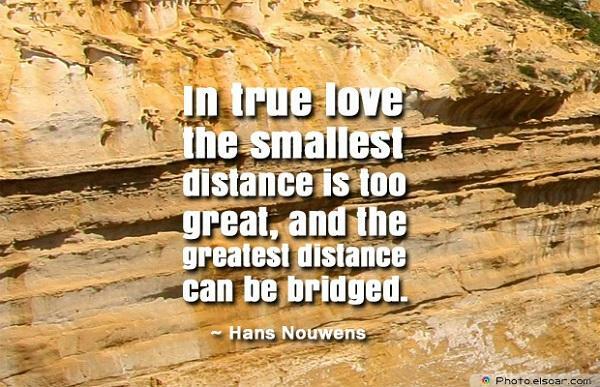 "In true love, the smallest distance is too great, and the greatest distance can be bridged." ​24. 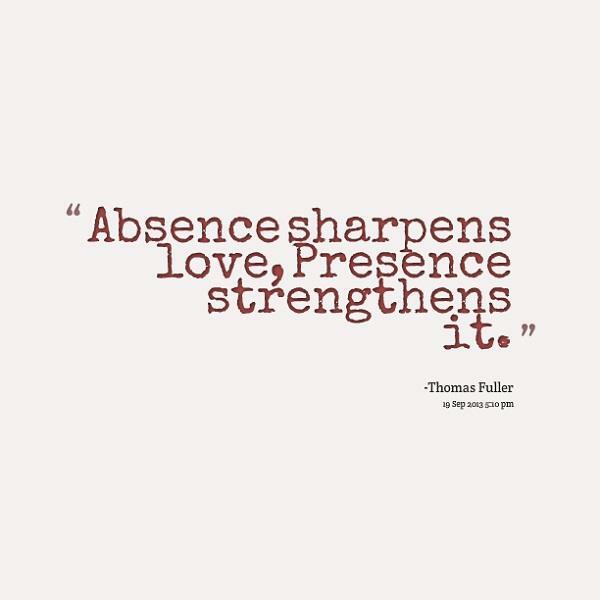 "Absence sharpens love. Presence strengthens it." 25. 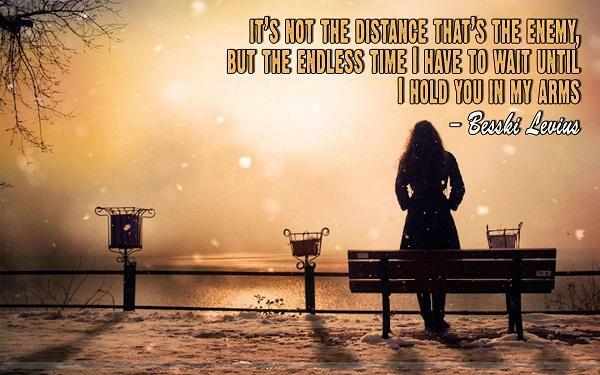 "It’s not the distance that’s the enemy, but the endless time I have to wait to hold you in my arms." ​26. 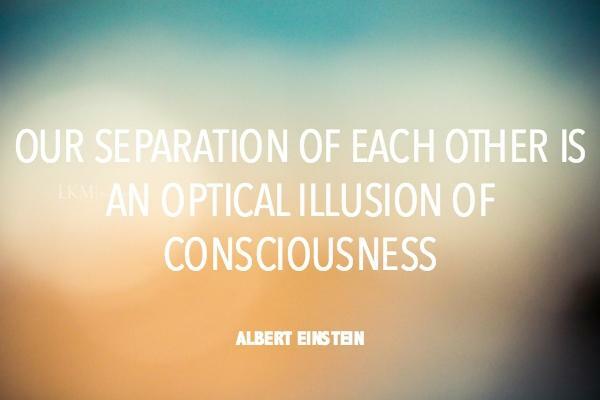 "Our separation of each other is an optical illusion of consciousness." YourTango brings together a community of readers, writers, thought leaders, and the world’s leading relationship and mental health experts in order to connect and engage where it matters most: the heart.